John contacted me in late May last year about his barley crop. The plants were coming up yellow in patches across the field. John farms about 2,800 acres near Whitewood, Sask., where he grows wheat, barley, canola and soybeans. It had been a dry spring and John thought environmental stress due to lack of moisture had caused the plant injury. When I arrived at the field, I took a closer look at the plants. The injured plants had some yellowing of the first leaf, whereas the rest of the plant appeared healthy. 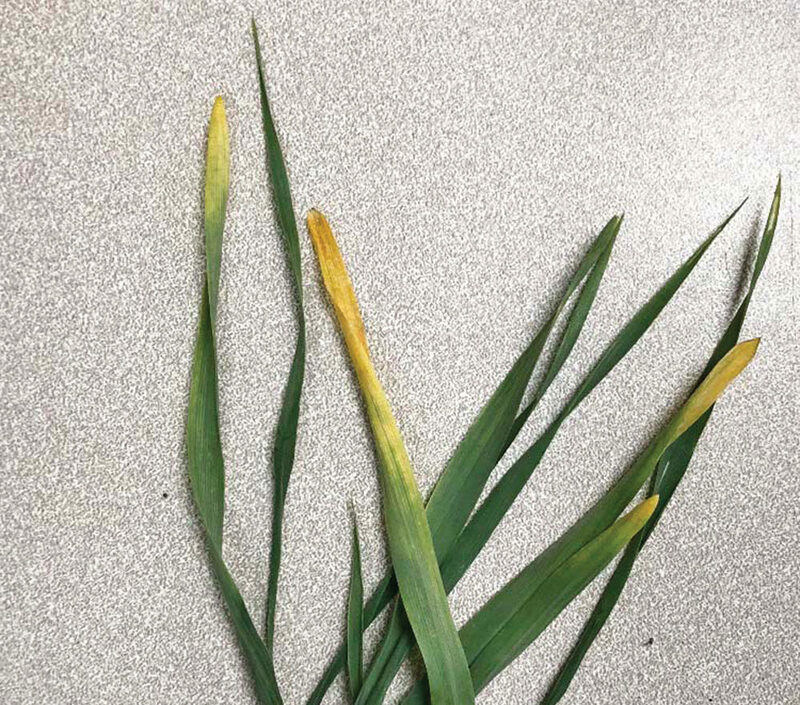 This leaf yellowing was not uniformly distributed throughout the field, but a large proportion of the field had been affected. The field had received very little precipitation and the soil conditions were dry. However, since the rest of the plant was healthy and was not exhibiting symptoms of environmental stress, such as stunting or wilting, I didn’t think a lack of moisture was the issue. In addition to the limited symptoms, there also didn’t appear to be any plants that had died. We then focused our attention on nutrient levels. A nutrient imbalance or deficiency can cause leaf yellowing. After examining John’s fertility records and rates, I concluded that he had a good fertility plan with adequate nutrient levels, which had been applied at the appropriate rates, to support normal growth and development. In addition, the plants looked healthy with the exception of the first-leaf yellowing. The injured plants had some yellowing of the first leaf, whereas the rest of the plant appeared healthy. Another factor to rule out was plant injury due to herbicide carryover. Upon checking the field’s history, we discovered no residual herbicides had been applied to this field. John told me in the spring he had used a pre-emergent application of herbicide containing active ingredients from Group 14 and Group 4 tank-mixed with glyphosate five days after seeding. This was all the information I needed to diagnose the cause of injury in John’s barley field. 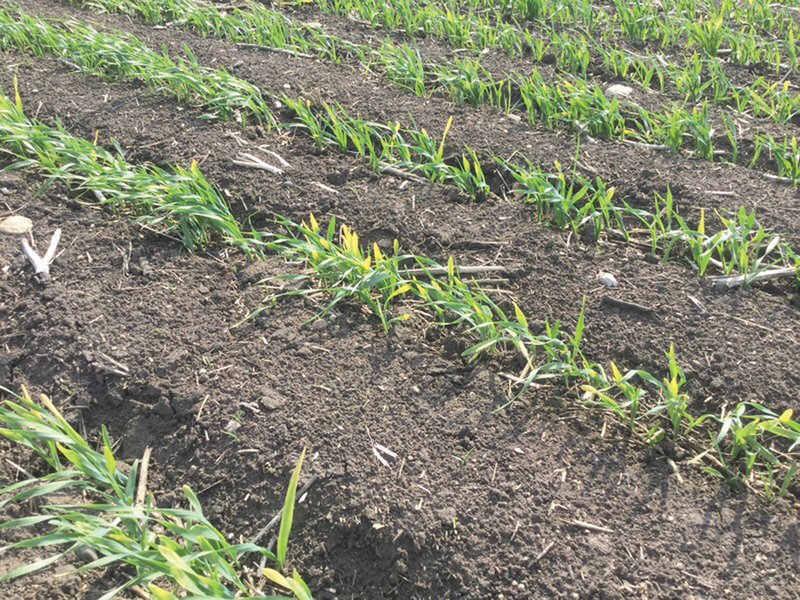 Herbicide carryover was not responsible for the plant injury as no residual herbicides had been applied to the field. That being said, John also told me five days after seeding the field, he had used a pre-emergent application of herbicide containing active ingredients from Group 14 and Group 4 tank-mixed with glyphosate. Now I knew why the plants’ first leaves were yellowing. The herbicide John applied injured the plants because the label instructions indicated it should have been sprayed no later than three days after seeding. There was a slight injury due to the late application of the pre-emergent herbicide. Correct crop staging and herbicide timing is vital to the health, growth and development of a crop. It’s a good idea to double-check your application timing and to follow all label instructions. There were no crop management changes John could make that season, but before he sprays any future herbicides, he will verify application timing and check the field for germinated plants prior to spraying. In this instance, the barley crop grew out of the injury and provided a good yield at harvest. 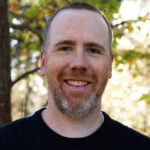 Bryce Geisel is Richardson Pioneer Inc.’s provincial agronomist for Saskatchewan.